JUIRST Guest Columnist Oday Talal Mahmood of the University of Pittsburgh School of Law discusses the potential implications of judicial review in Iraq….In Iraq’s Constitution of 2005, more than 67 of the 144 Articles include the language: “shall be regulated by law,” referring to the most important laws including the Federation Council Law, and the Oil and Gas Law. Aside from these laws, there are some others which need to be enacted by the Iraqi Parliament. All of these essential laws are concentrated in the institutional structure of the country. The Federal Supreme Court in Iraq has to review all of these laws in case there is a challenge to their constitutionality. 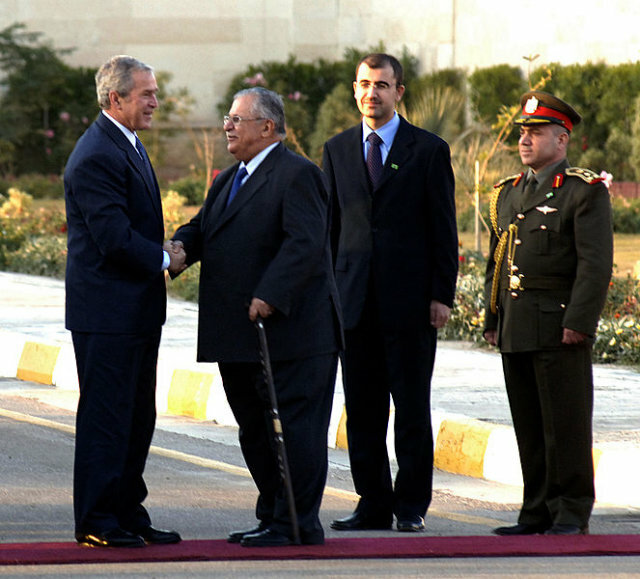 Before 2003, there was no judicial review in Iraq. Thus, this is a new method of legal scrutiny and Article 2 was fundamental to the establishment of a judicial review mechanism in Iraq. This Article established the Repugnancy Clause, which stipulated that the Iraqi legislature cannot enact any law which is contrary to the Islamic settled rulings, democracy, and human rights. In practice, adding a religious component to the standard of judicial review may raise concerns about the influence of religion on the governance of a young democratic country. Especially considering the fact that the Court’s decisions would be superior and binding on other branches. Furthermore, the Court’s decisions are often still controversial. The provision of the Federal Court’s right to a constitutional review was made clear in Article 93. In Article 2, the Constitution clearly outlines the standards of review a constitutional judge must follow to determine whether or not laws are constitutional. However, what is lacking in the Iraqi constitutional judiciary is the courage to render stricter decisions to protect the Constitution. This courage will not come unless constitutional judges are free from the texts of ordinary laws and rely solely on constitutional values, logic, and reason. The function of the constitutional judge is quite different from the ordinary judge, and no less important than the legislator in achieving the interests of society. For example, an ill-conceived judicial decision may ignite civil war or undermine a basic right enshrined in the Constitution. Today, the Federal Supreme Court in Iraq is bound by the imaginary limitations of the difficulty in the application of Article 2 of the Constitution, which contains elements that some may consider incompatible with Islamic settled rulings, democracy, and human rights. Regardless of the philosophical interpretations of these elements, there are two solutions for this problem. First, procedurally, the court can enable parties to submit adversarial briefs asking them to describe specific issues of Islamic settled rulings, democracy, and human rights. The other solution is to accelerate the formation of the court structure as Article 92 provided: “The Federal Supreme Court shall be made up of a number of judges, experts in Islamic jurisprudence, and legal scholars.” This solution will ensure that each member of the court will bear his or her moral, legal, and intellectual responsibility that the interpretation of these concepts aligns with the needs of the community. It will also ensure that the interpretation is in a way that secures the operation of the Article and does not disrupt the Constitution. The effective judicial review of the laws today in Iraq is an important factor in the success of the democratic rule. This can establish the loyalty of all the government institutions in the country to the Constitution and prevent the emergence of another dictatorship.